OLD PARKED CARS. 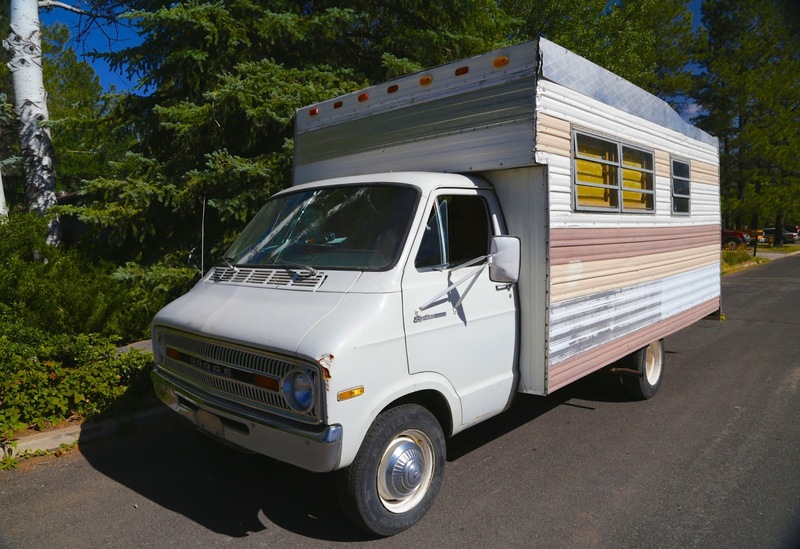 : Andy's 1972 Dodge Sportsman RV. 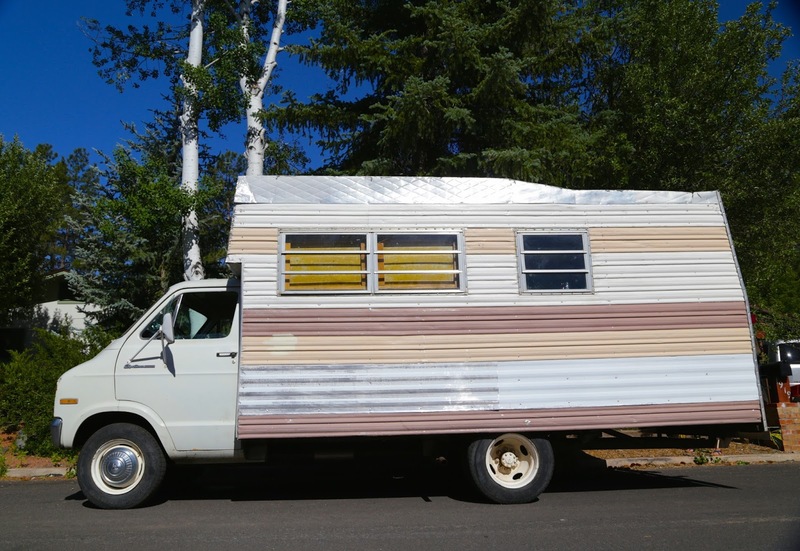 Andy's 1972 Dodge Sportsman RV. My father-in-law lives a life without a lot of responsibility. When we were renovating our house, Andy would fly up and live with us for six months at a time, work on the house, and then head back to Arizona whenever funds for materials ran out. When we visited him this summer, I had the chance to document his rolling home. 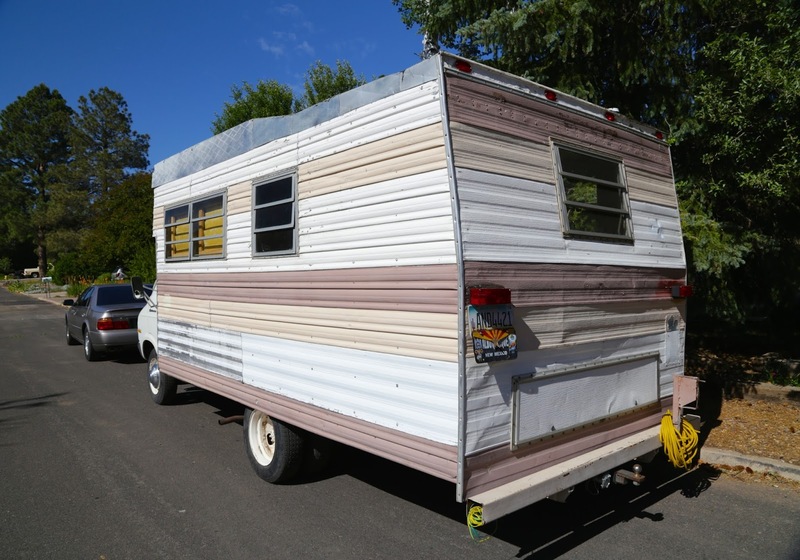 I don't know the model of the RV conversion, but at this point it bears little resemblance to whatever it once was. 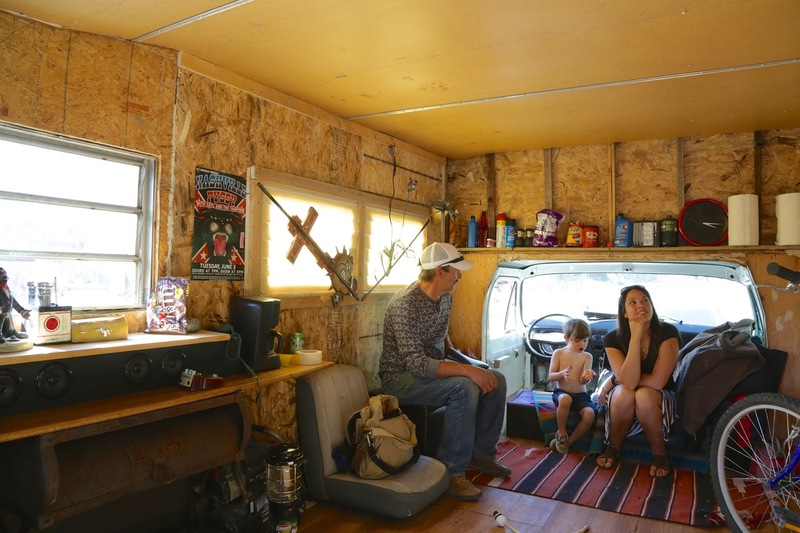 I understand there were once sleeping quarters over the cab, but he had to get rid of it because the wood frame was so dry-rotted. More recently, I heard that he turned the entire back wall into a hinged ramp in order to park his motorcycle inside. Thanks again for everything, Andy. That looks like a pretty good renovation. I'd like to have a setup like that so I could enter a nomadic period. Hi, I'm new here but I have to comment on what a swell job he did on his motorhome. There are so many out there of that vintage and that is one of the weak spots on cabovers. I'm betting if the folks who scrapped theirs had seen his renovations they would have kept them. 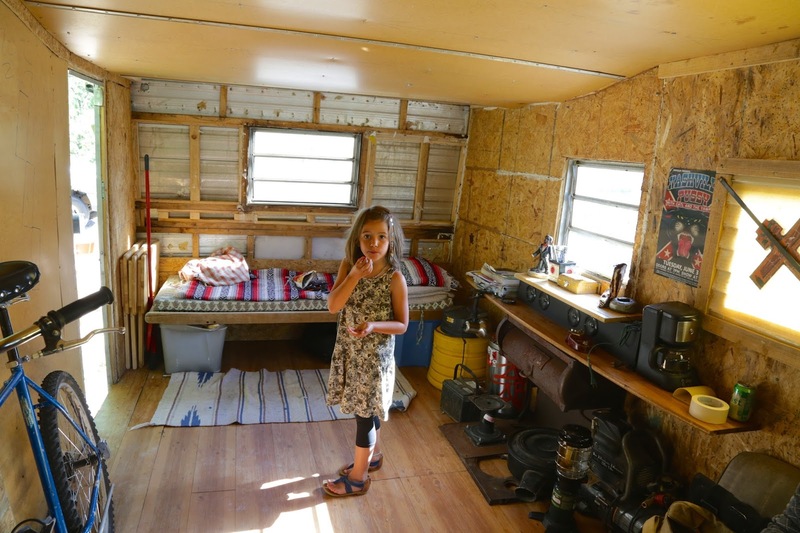 There are some nice things you can do to customize an RV.